What is the Syrian refugee vetting process? A growing number of Republicans -- including governors, members of Congress and 2016 presidential candidates -- are expressing concern about the vetting process for Syrian refugees, but Obama administration officials said Tuesday that a great deal of those concerns are based on "misinformation." State Department officials are briefing governors and mayors on a conference call Tuesday to reassure them that the process of screening refugees is robust and secure. "I think a lot of the questions we're getting right now... are from members [of Congress] who are just learning about the program for the first time," a senior administration official told reporters on a conference call Tuesday. "I also think there's a lot of misinformation out there." 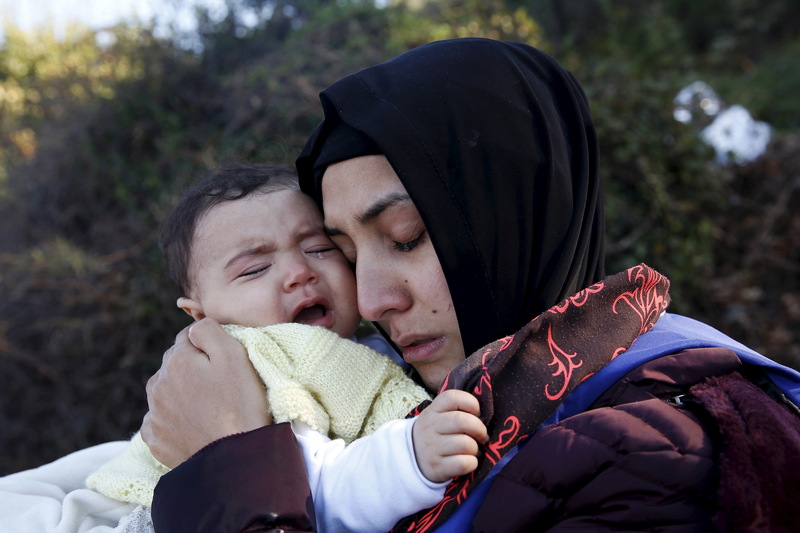 Can governors legally block Syrian refugees? For instance, reports that the United Nations selects the refugees who enter the U.S. are simply not true. In fact, the vetting process for refugees is "quite intensive and involves several government agencies," the senior official said. The approval rate for refugees seeking asylum in the United States currently stands at just over 50 percent, senior administration officials said. The process for obtaining refugee status in the United States typically takes 18 to 24 months. About 1,800 Syrian refugees have entered the U.S. in the past year. So far, only about 2 percent of the Syrian refugees entering the United States are single men of "combat age." Roughly half of the Syrian refugees are children, and 2.5 percent are adults over 60. Refugees --- from any nation -- are accepted only "after subjecting them to the most rigorous screening and security vetting of any traveler to the United States," a senior administration official said. "Slamming the door in their face would be a betrayal of our values," the official added. The process for any refugee begins with the processing of biographic information (such as an applicant's name and date of birth) and biometric information (such as fingerprints). The information is checked against databases in several different U.S. agencies including the FBI, the State Department and the Department of Homeland Security (DHS). If an applicant has applied for an overseas visa in the past, their biometric information should be on record. It can be used to ensure that the applicant has had a consistent story about the circumstances that prompted them to seek asylum. After that, applicants go through a lengthy, in-person interview process overseas. The interviews are conducted by specially-trained DHS officers who spend at least eight weeks learning skills like how to question applicants and test their credibility. These adjudicators receive special training for interviewing refugees from Iraq or Syria. Currently, the U.S. is interviewing Syrian refugee applicants in Amman, Jordan, Istanbul, Turkey, and in Cairo, Egypt. Interviews will soon be conducted in Lebanon and a few other locations. One senior administration official told reporters that the U.S. has benefitted from its "years of experience" vetting Iraqi refugees. Since that large-scale program started in 2007, the vetting process has become more robust. Going back even further than that, senior administration officials pointed out that government agencies like the State Department and the Pentagon have been refining and enhancing the degree to which they share information since the September 11, 2001 terrorist attacks. "We're constantly refining the process," one official said. Even so, government leaders have acknowledged the system is far from perfect. "We did discover in people who have come in as refugees from Iraq a number of people of serious concern," FBI Director James Comey told the House Judiciary Committee last month, "including two charged when we found their fingerprints on improvised explosive devices." Comey added, "There's no doubt that was the product of a less-than-excellent vetting that had been done on Iraqi refugees." "We have improved dramatically our ability as an interagency -- all parts of the U.S. government -- to query and check people," he continued. However, "Our ability to touch data with respect to people who may come from Syria may be limited... The data we had available to us from Iraq from our folks being there... is richer than the data we have from Syria." On Tuesday, Attorney General Loretta Lynch acknowledged to the same House committee that "certainly there are challenges to this process." However, she continued, "We do have the benefit of having that robust screening process in place -- a process that Europe has not been able to set up." Since the U.S. can't rely on the Syrian government to check things like an applicant's criminal history, the U.S. relies on what they learn from interviews for that information. A senior administration official told reporters that "there is intelligence on refugee populations including, Syrian refugees," that can help in the vetting process. And while many refugees seeking asylum in the U.S. don't have proper documentation like birth certificates, a senior administration official told reporters that "Iraqis and Syrians tend to be a very heavily documented population." Families seeking asylum can often produce passports or military registration forms, the official said. Once refugees are accepted into the United States, governors don't really have much say over their placement. Moreover, the federal government doesn't target specific states or cities. It uses a variety of factors -- such as where in the U.S. a refugee may have family members -- to determine placement. The nine not-for-profit programs that work with the government to place refugees meet on a weekly basis to determine placement. "It's not a plan where we sit down and say, 'Let's go to this city this month and this city next month,'" a senior administration official said. "It's a vibrant program adjusted based on what local communities can handle." This story was updated after the State Department said it misstated the percentage of Syrian refugees over the age of 60: 2.5 percent, not 25 percent, are over 60 years old.